The world’s best King Salmon fishing. Our professional guides and crews have the boats, tackle and know-how to get you on giant King Salmon and keep you on them. Kings are caught in fresh water (our rivers) and salt water. 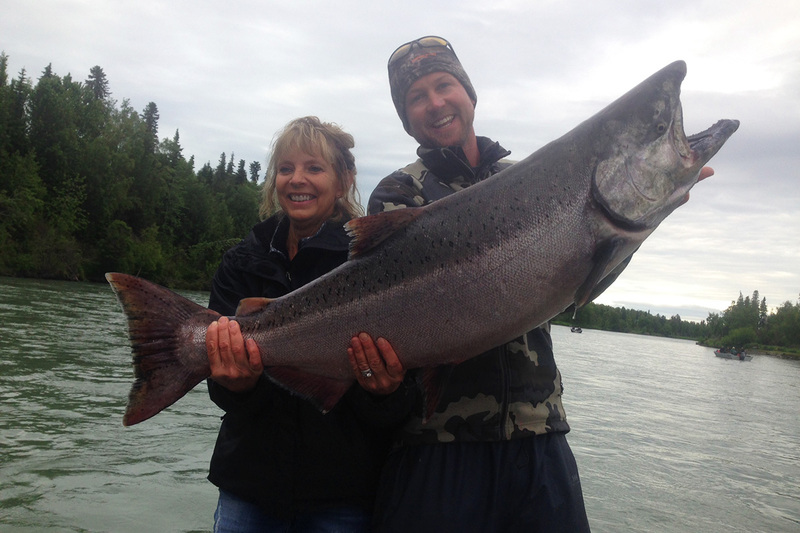 We are located right on the beautiful Kenai River, which is famous for the world’s largest King Salmon. 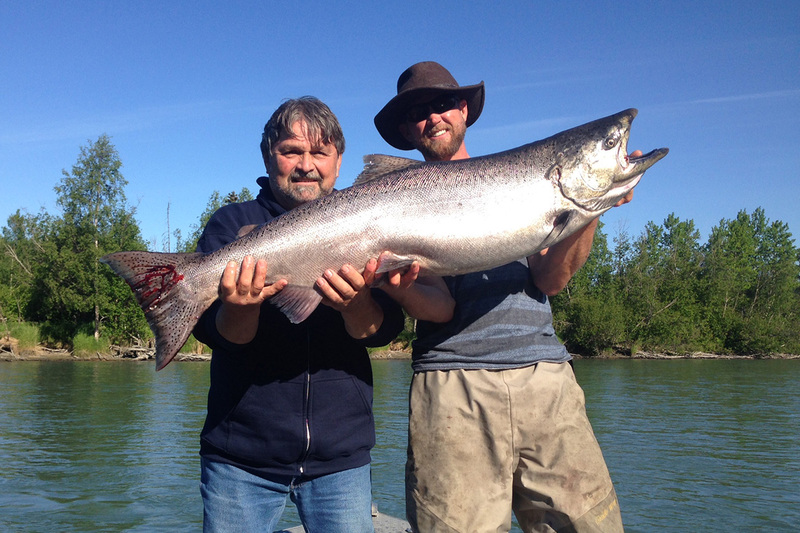 The 10 largest King Salmon of all time have been landed here! 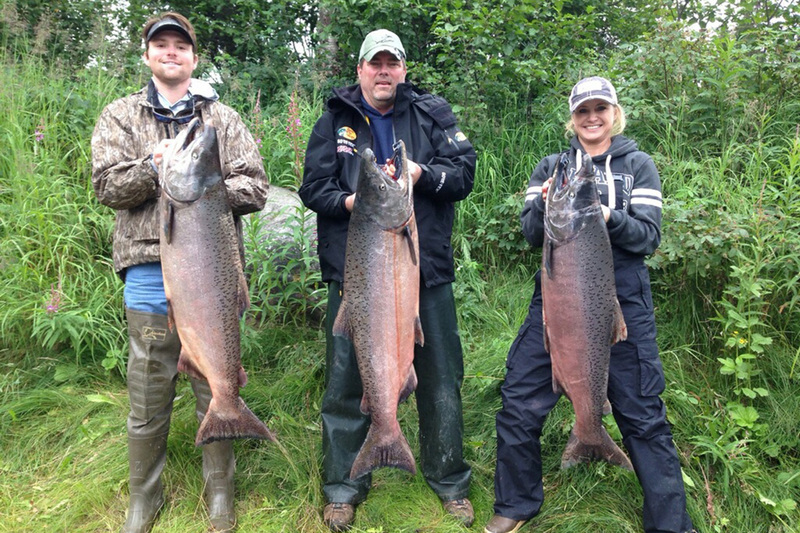 If you’re looking for trophy action, the Kenai is your playground. 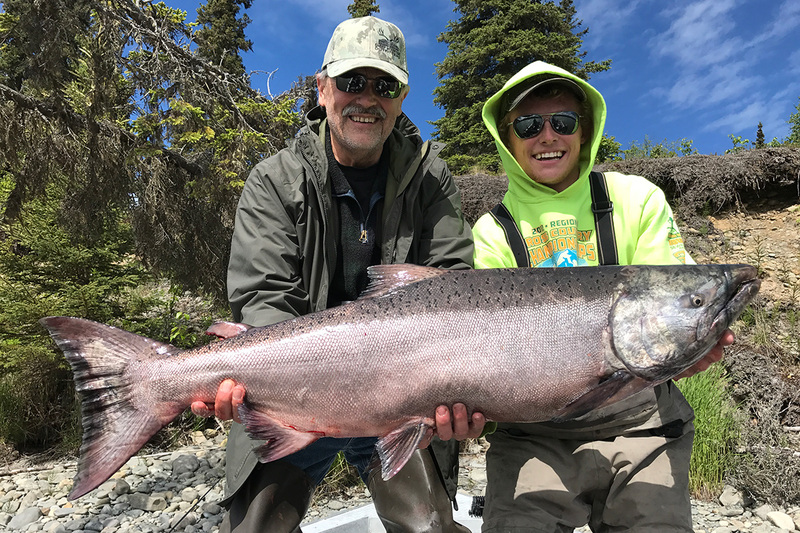 We also fish the Kasilof River, which is an unforgettable Alaskan experience of drift-fishing for both hatchery and native Kings. The Kasilof is famous for great runs of Sockeye in addition to Kings, so there’s never a dull moment. There is also incredible fishing for King Salmon on our salt-water charter trips. The waters outside Homer provide the best king salmon fishing In the state. The action begins in May with a brief break mid-June through mid-August and picks back up mid-August through September. Salt-water trips catch halibut, rockfish, silver salmon and lingcod in addition to Kings.